One of our pheasants is missing! Edwards's Pheasant Lophura edwardsi is endemic to the lowland forests of central Vietnam. These forests have been impacted by habitat loss and over-exploitation. The lack of recent records of Edwards's Pheasant, together with these substantial threats, is a serious cause for concern about the species' survival. Edwards's Pheasant was first described in 1896 and remained virtually unknown until the 1920s. Although the species was described as locally common in the past, it has only ever been recorded from a few sites within a restricted range. 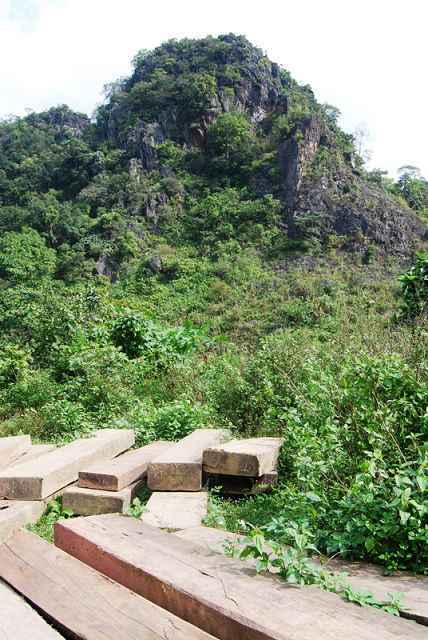 Between 1930 and 1996 the species was assumed to be extinct, but surveys in the late 1990s suggested that the species survived in several sites in Quang Tri and Quang Binh Provinces. Since 2000, however, there have been no confirmed records of the species. The few remaining lowland forests in central Vietnam have been heavily logged (Matt Grainger). In early 2011, World Pheasant Association (WPA) received funding from the Critical Ecosystem Partnership Fund for a survey of forests in the Quang Binh and Quang Tri Provinces of central Vietnam to see whether any populations of Edwards's Pheasant could be found. In order to make the most of limited funds, we teamed up with the Quang Tri Center of Education and Consultancy on Agriculture and Rural Development (CECARD), who had also received funds for similar work, and BirdLife International Vietnam (BLI Vietnam). WPA was charged with the design and oversight of the survey. 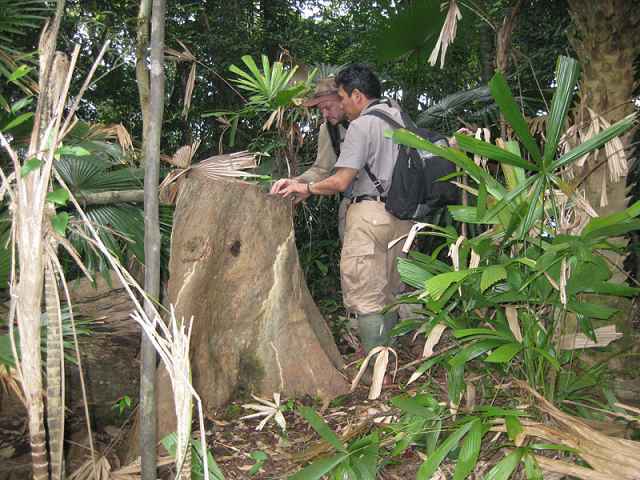 In April 2011 a team from WPA, including Research Associates from King Mongkut's University of Technology Thonburi, Thailand, undertook a training workshop for Vietnamese partners, including rangers from the Quang Tri Forest Protection Department. This workshop outlined methods for the survey of pheasants, such as the Edwards's Pheasant, which are difficult to observe using traditional bird survey techniques. The workshop concentrated on the design and implementation of camera-trap surveys that have become an important tool in determining the presence and abundance of shy and generally silent pheasant species. Contrary to popular belief, these surveys require a great deal of forethought and trapping sites need careful selection and clearing to ensure adequate data collection and to allow data analysis. In addition, the team initiated a camera-trap survey in the minimally disturbed Khe Nuoc Trong Watershed Protection Forest, Quang Binh — about 18,000 hectares in total, with only about half of the area under 400 m in elevation and thus potential habitat for Edwards's Pheasant. The site was identified as being the most likely area for Edwards's Pheasant on the basis of historical records nearby, and the remoteness of the forest. No-one had formally surveyed the area for any bird species in the past. Logging was stopped in the area in 1992, but the official status of nature reserve is still pending. Le Trong Trai and Matt Grainger planning where to place camera traps in the Khe Nuoc Trong Forest (Ngo Xuan Tuong). The first phase of this survey has just been completed. Despite having photographed 26 species of birds and mammals, we have not yet managed to photograph the elusive Edwards's Pheasant. 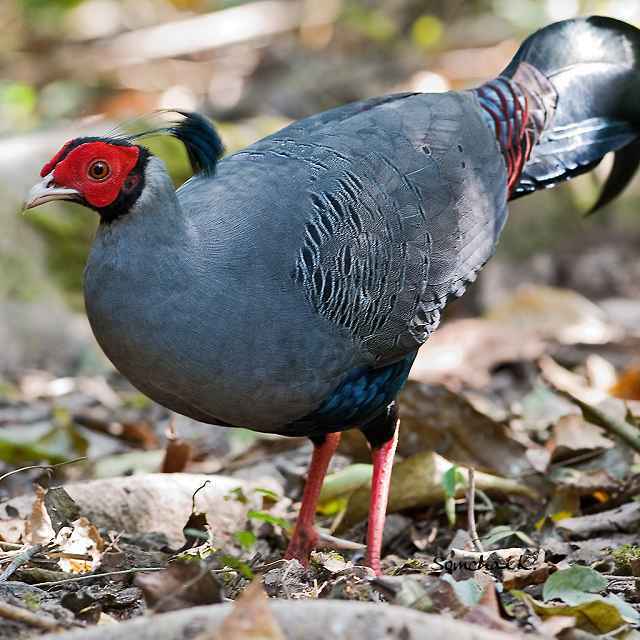 We do have photographs of the Near-Threatened Siamese Fireback Lophura diardi, a close relative of Edwards's Pheasant, and Least Concern listed Scaly-breasted Partridge Arborophila chloropus, which confirms that our method is effective at capturing images of Galliformes. This failure to find Edwards's Pheasant in this relatively undisturbed forest adds to our concerns about the survival of this species in the wild. There was some encouraging news, though, because members of the local community indicated that they had encountered the species recently in the forest. There are funds to continue the survey for another few weeks in Dakrong Nature Reserve but we need additional funding to allow more teams to survey this and other forest sites in central Vietnam if we are to rediscover the species. Leaving aside the rather suspect Double-banded Argus — a supposed species described on the basis of a single feather — we have not yet lost a pheasant species in Asia since 1600, the baseline for recent extinctions; let's hope that Edwards's is not the first to become extinct.